The 2019 Rugby World Cup will be the ninth Rugby World Cup, and is to be held in Japan from 20 September to 2 November. This will be the first time the tournament is to be held in Asia, the first time consecutive tournaments have been staged in the same hemisphere, and also the first time that the event will take place outside the traditional heartland of the sport. Hong Kong and Singapore had expressed interest in hosting some of the matches and were included as part of the JRFU's successful original hosting bid to World Rugby (known at the time of bidding as the International Rugby Board, or IRB) but were not amongst the fourteen locations announced by organisers Japan 2019 on 5 November 2014 that had formally bid for the right to host games. The opening match of the 2019 Rugby World Cup will take place at the Ajinomoto Stadium in Chōfu, Tokyo, and the final match will be held at the Nissan Stadium in Yokohama, Kanagawa Prefecture. These venue assignments were announced in September 2015 when plans for the tournament were revised by Japan's organizing committee and accepted by World Rugby. The National Olympic Stadium, being rebuilt for the 2020 Summer Olympics, was originally the centerpiece of Japan's Rugby World Cup bid, but revisions to the Olympic Stadium plans mandated the World Cup venue changes. The IRB requested that any member unions wishing to host the 2019 or 2015 Rugby World Cup should indicate their interest by 15 August 2008. This would be purely to indicate interest; no details had to be provided at this stage. A record ten unions indicated interest in hosting either the 2015 and/or the 2019 events. The 2019 tournament received interest from nine different nations. Jamaica were the most surprising union to announce an interest in hosting the event, considering they had never participated in a previous World Cup, though they quickly withdrew. Russia also initially announced plans to bid for both the 2015 and 2019 World Cups, but withdrew both bids in February 2009 in favour of what proved to be a successful bid for the 2013 Rugby World Cup Sevens. Australia withdrew from the bidding process on 6 May 2009. The three potential hosts – Italy, Japan and South Africa – were announced on 8 May 2009. At a special meeting held in Dublin on 28 July 2009, the International Rugby Board (IRB) confirmed that England would host the 2015 Rugby World Cup, and Japan would host the 2019 event. The IRB voted 16–10 in favour of approving the recommendation from Rugby World Cup Ltd (RWCL) that England and Japan should be named hosts. The IRB, RWC Ltd, JRFU and host organisers Japan 2019 went through the process of asking for expressions of interest, and meeting with and explaining game hosting requirements to interested parties from late 2013. In May it was announced that twenty-two municipal and/or prefectural organisations had expressed interest from throughout Japan. Interested organisations were asked to enter a formal bid by 31 October 2014. At a press conference on 5 November in Tokyo, organisers Japan 2019 announced that bids from fourteen localities had been received. Secretary-General of the organising committee, Mr. Akira Shimazu advised that amongst the twenty-two interested parties, Yokohama (Yokohama International Stadium, venue for the 2002 FIFA World Cup Final), and Niigata's Denka Big Swan Stadium, which was also a 2002 FIFA World Cup venue had decided not to bid. Shimazu added that the decision of Yokohama not to bid meant that it was virtually a fore-gone conclusion that the new National Stadium in Tokyo would host both the semi-finals, and the third-place playoff in addition to the opening game and final. There have been a number of changes to the venues submitted in the JRFU's original bid in 2009. Gone are venues in Hong Kong and Singapore. All games will be in Japan. The JRFU's own Chichibunomiya Stadium in Tokyo which might have been expected to host smaller interest games in the capital is missing. Also the JRFU plumped for the larger, and more modern 50,000 seat Nagai multi-purpose stadium as its preferred venue for games in Osaka in 2009 but the Osaka Municipality and East Osaka City governments have submitted the Hanazono Rugby Stadium which they are planning to refurbish as the Osaka venue option. East Osaka City will take over the stadium from long-time corporate owners Kintetsu in April 2015. Kamaishi, Shizuoka, Kyoto, Oita, Nagasaki, and Kumamoto are all venues that weren't part of the JRFU's bid. While the bids include venues from a broad area of Japan, two parts won't be involved in hosting. 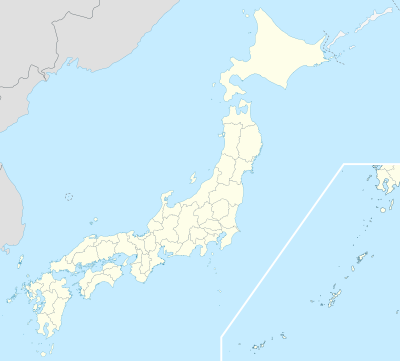 Firstly the Hokushin'etsu area (Hokuriku region and Koshin'etsu region), which includes the city of Niigata, and secondly the Chugoku Region, including Hiroshima, and nearby Shikoku Island. No city in the latter region were venues for games in the 2002 FIFA World Cup, but Hiroshima did host games in the 2006 FIBA World Championship. On 17 July 2015, Japanese Prime Minister Shinzo Abe announced that plans to build the new National Stadium would be scrapped and rebid on amid public discontent over the stadium's building costs. As a result, the new stadium would not be ready until the 2020 Summer Olympics. World Rugby released a statement saying that they were extremely disappointed by the announcement "despite repeated assurances to contrary from the Japan Rugby 2019 Organising Committee and Japan Sports Council," and would "need to consider the options relating to the impact of (the) announcement." The top three teams in each of the four pools at the 2015 Rugby World Cup automatically qualified for the next tournament. Japan finished third in Pool B during the 2015 Rugby World Cup and so finished in a qualifying position – however, by virtue of hosting the tournament, Japan were assured qualification for the tournament before the 2015 Rugby World Cup took place. The remaining eight spaces were decided by existing regional competitions (e.g. the Rugby Europe International Championships) followed by a few cross regional play-offs. The final spot was decided by a repechage tournament in Marseille in November 2018, which was won by Canada. While all the qualifying teams had previously qualified for the World Cup at least once, the most notable absence for the 2019 tournament was Romania, who had played in every previous tournament, but were effectively disqualified after fielding ineligible players during the qualification process. The pool draw took place on 10 May 2017 in Kyoto. The draw was moved from its traditional place of December in the year following the previous World Cup, after the November internationals, so that nations had a longer period of time to increase their World Rankings ahead of the draw. The draw saw a representative randomly draw a ball from a pot, the first drawn ball goes to Pool A, the second Pool B, the third Pool C and the fourth Pool D. The draw began with Japanese Prime Minister Shinzō Abe draw the pool of which hosts Japan were allocated to. The draw continued on to Band 5, drawn by Japanese Olympian Saori Yoshida, followed by Band 4, drawn by former Japanese rugby international Yoshihiro Sakata, then Band 3, drawn by All Blacks Head Coach Steve Hansen with the first team being drawn being allocated to Pool B, Band 2, drawn by Mayor of Yokohama Fumiko Hayashi and finally Band 1, drawn by World Rugby chairman Bill Beaumont. In the first round, or pool stage, the twenty teams are divided into four pools of five teams. Each pool will be a single round-robin of ten games, in which each team plays one match against each of the other teams in the same pool. Teams are awarded four league points for a win, two for a draw and none for a defeat by eight or more points. A team scoring four tries in one match is awarded a bonus point, as is a team that loses by fewer than eight points – both bonus points are awarded if both situations apply. The teams finishing in the top two of each pool advance to the quarter-finals. The top three teams of each pool received automatic qualification to the 2023 Rugby World Cup. If three teams were tied on points, the above criteria would be used to decide first place in the Pool, and then the criteria would be used again (starting from criteria 1) to decide second place in the Pool. Pld = Number of games played; W = Number of games won; D = Number of games drawn; L = Number of games lost; TF = Number of tries scored (Tries For); PF = Number of points scored in the game (Points For); PA = Number of points scored against the team (Points Against); +/− = The difference, PF − PA; BP = Bonus (pool) points ; Pts = Total number of (pool) points. ^1 Rankings as of 16 September 2019 will be entered when available. ↑ "England will host 2015 World Cup". BBC Sport. 28 July 2009. Retrieved 28 July 2009. 1 2 "World Rugby approves revised Japan 2019 hosting roadmap" (Press release). World Rugby. 28 September 2015. Retrieved 28 September 2015. ↑ "Russia to host Rugby World Cup Sevens 2013". Rugby World Cup Sevens (Press release). World Rugby. 12 May 2010. Archived from the original on 15 October 2013. Retrieved 1 January 2012. ↑ "Russia keen to bid for RWC Sevens 2013". Rugby World Cup Sevens. World Rugby. 13 February 2009. Archived from the original on 27 May 2011. Retrieved 15 February 2009. ↑ "Australia withdraws 2019 Cup bid". BBC Sport. 6 May 2009. Archived from the original on 9 May 2009. Retrieved 6 May 2009. ↑ "IRB confirms record RWC bid response". International Rugby Board. 8 May 2009. Archived from the original on 11 May 2009. Retrieved 9 May 2009. ↑ Himmer, Alastair (17 July 2015). "Japan rips up 2020 Olympic stadium plans to start anew". Yahoo. AFP. Retrieved 17 July 2015. ↑ Linden, Julian (17 July 2015). "World Rugby officials seeking answers from Japan". Reuters. Retrieved 17 July 2015. ↑ "Ireland land favourable Rugby World Cup draw". RTE Sport. 10 May 2017. Retrieved 10 May 2017. ↑ "Date confirmed Rugby World Cup 2019 pool draw". Rugby World Cup. World Rugby. 24 November 2016. Retrieved 1 May 2017. ↑ Barry Glendinning (10 May 2017). "Rugby World Cup 2019 draw: England land France and Argentina – as it happened". The Guardian. Guardian News and Media. Retrieved 11 May 2017. ↑ "Tournament rules". Rugby World Cup. World Rugby. Archived from the original on 28 September 2015. ↑ "IGBS appointed Rugby World Cup 2019 host broadcaster". Rugby World Cup. World Rugby. 25 October 2016. Retrieved 28 October 2017. ↑ "Nippon TV, NHK and J SPORTS appointed Japan rights holders for RWC 2019". Rugby World Cup. 20 September 2018. Retrieved 24 November 2018. ↑ "TF1 a acquis les droits exclusifs selon son président" (in French). MediaSportif. 19 October 2017. Retrieved 22 October 2017. ↑ "Rugby - Rugby-WM 2019 live: ProSieben MAXX und ran.de übertragen Turnier im TV und Livestream". www.ran.de (in German). 2018-11-27. Retrieved 2018-12-03. ↑ "RTÉ acquire live TV rights to Ireland's World Cup games". RTE.ie. 2018-11-21. Retrieved 2018-12-03. ↑ "Blow for free-to-air viewers as eirSport secure 2019 Rugby World Cup". The Irish Times. Retrieved 2018-12-03. ↑ "TVNZ and Spark win Rugby World Cup rights". Stuff. Retrieved 2019-01-28. ↑ rugbybworldcup.com. "World Rugby awards New Zealand broadcast rights for the men's and women's Rugby World Cups to Spark". Retrieved 2018-12-03. ↑ "ESPN Latin America and ESPN Brazil join RWC broadcast family". World Rugby. 8 April 2015. Retrieved 18 January 2019. ↑ "ITV appointed UK rights holder for men's and women's Rugby World Cup events". Rugby World Cup. World Rugby. 4 February 2017. Retrieved 30 March 2017. ↑ "NBC Sports Gold Rugby Pass". NBC Sports. 2018-09-10. Retrieved 2018-12-03. ↑ "GUINNESS PRO14 ON S4C". NBC Sports. 24 July 2018. Retrieved 2019-02-14. ↑ "S4C's coverage of the World Rugby Under 20 Championship 2019". NBC Sports. 2019. Retrieved 2019-02-14.